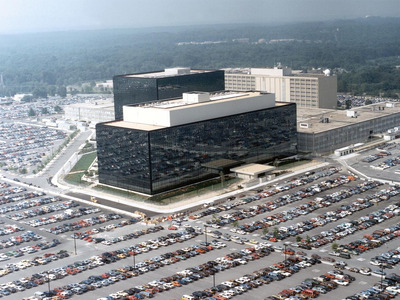 The National Security Agency is perhaps the most secretive of the 17 intelligence agencies that make up the sophisticated US spy network. 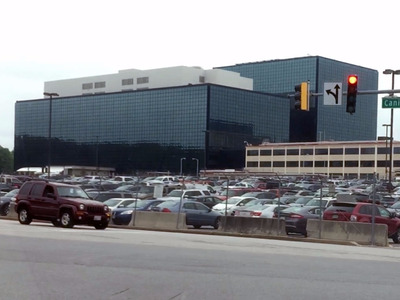 Created in secret in 1952, the NSA was once jokingly referred to as “No Such Agency” or “Never Say Anything.” But now, especially after a flood of top secret documents were leaked by former contractor Edward Snowden, NSA is a household name. The agency, previously shy about official statements and transparency, now has websites dedicated to its own message surrounding the leaks. And the official in charge of its elite hacker unit — which it denied even existed before Snowden — gave a public talk in February. 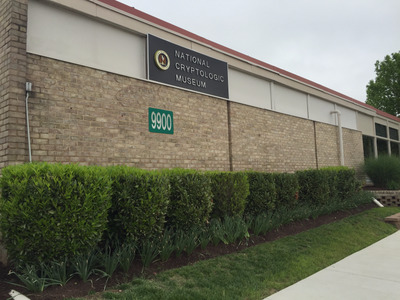 Tech Insider was recently in Washington to cover a DARPA event at the Pentagon, so we decided to make a slight detour out to the National Cryptologic Museum, a public facility that’s just a stone’s throw away from NSA headquarters at Fort Meade, Md. And it's actually way out. 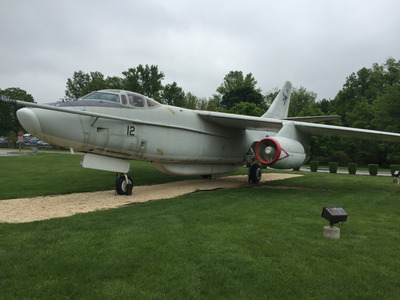 It's at least an hour drive from Washington, D.C. to Fort Meade, where the museum is situated just outside the gate. 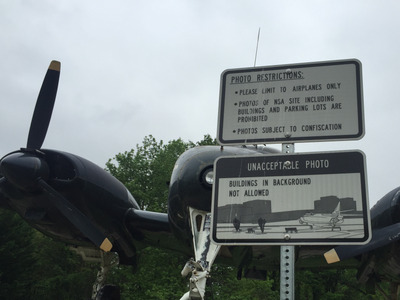 Nonetheless, it was an easy drive on Route 32 to the exit for NSA. 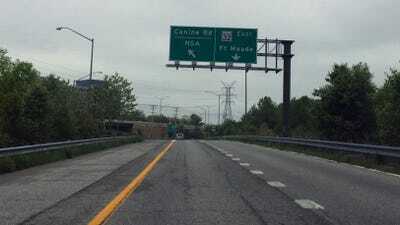 Off the exit, the towering NSA headquarters building can be seen on the right as you head to the museum. Of course, there are plenty of fences, gates, and guards to keep you out. But no fences here. 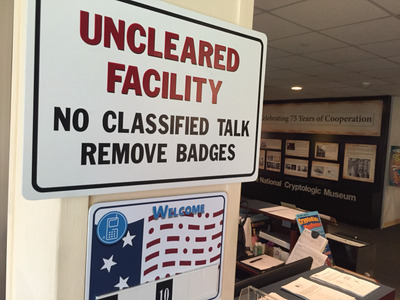 The museum was originally just for NSA employees to get a look at the agency's history, but it opened to the public in 1993. 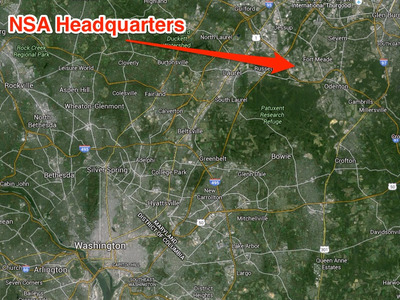 Still, it's clear that NSA employees still stop by on occasion. 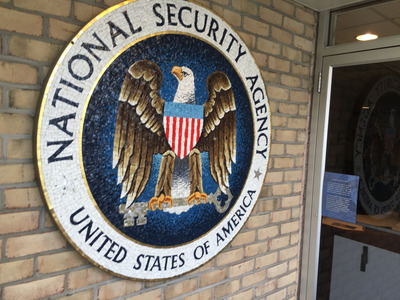 A sign at the front warns that, since they're among the public, NSAers should take off security badges and refrain from talking about that ISIS conversation they just listened to. 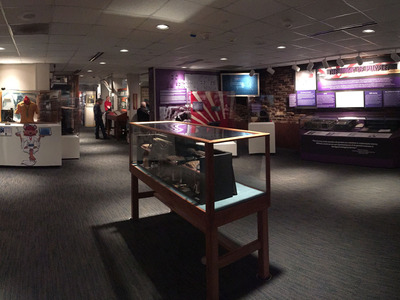 While I was there, a group of sailors in uniform were walking around the museum speaking Russian. My guess is they were probably training to be language analysts, a job that's currently in high demand. So what is the NSA all about? 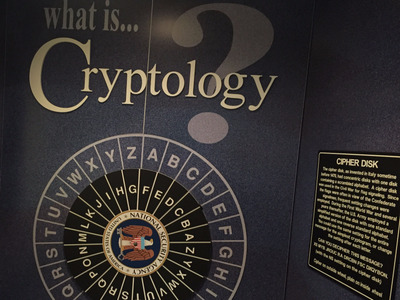 Put simply: Code-making and codebreaking -- a field known as cryptology. 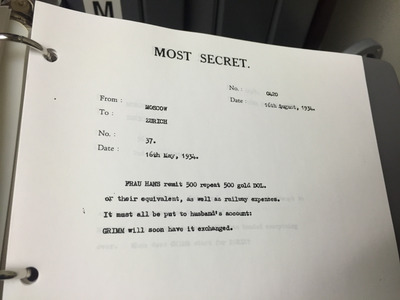 NSA has only been around since the 1950s, but militaries have been using codes in battle for a very long time. 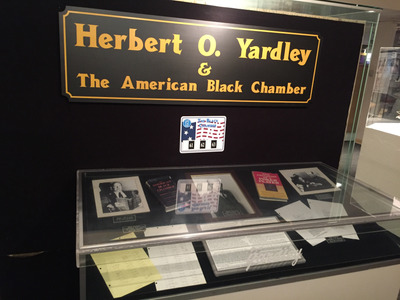 Though it wasn't until 1919 that the US started its own code-breaking unit, the Cipher Bureau, which was nicknamed 'The Black Chamber.' 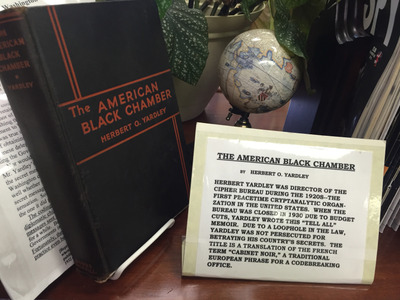 Led by Herbert Yardley, the chamber broke tens of thousands of diplomatic messages. It's rather funny to read NSA's accompanying caption for the book, describing the shutdown due to 'budget cuts' and a 'loophole' allowing publication. In reality, the Secretary of State who shut down the chamber was outraged it existed since he believed 'gentlemen do not read each other's mail,' and there was no legal basis or precedent to stop the book from coming out. 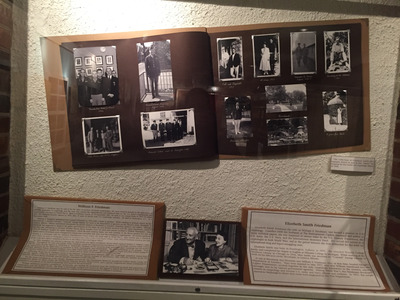 Besides a display for Yardley, the museum also highlights William and Elizebeth Friedman, both pioneers in codebreaking. William Friedman led the team that broke Japan's Purple code, allowing the US to read their diplomatic messages prior to World War II. 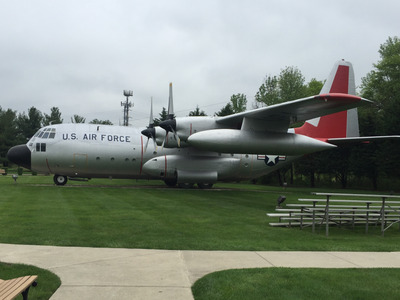 As you'd expect, much is dedicated to NSA's success with SIGINT, or signals intelligence. 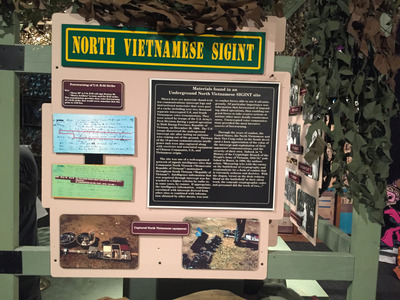 ... Or the capture of pilots on top secret CIA spy flights over the Soviet Union. 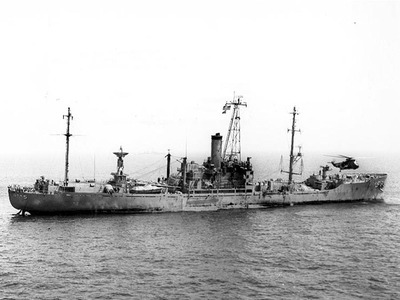 And the infamous Pueblo incident, when North Korea seized a Navy ship conducting surveillance for NSA off its coast in 1968. 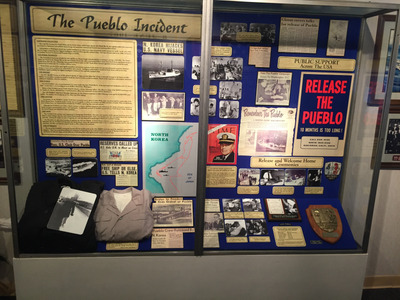 The Pueblo's 83 crew members endured starvation and torture for 11 months until their release. 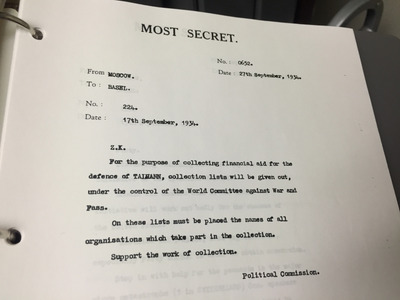 While the US endured the 'largest single loss of such sensitive material' -- plenty of America's code-breaking secrets -- North Korea turned the Pueblo into a propaganda museum. 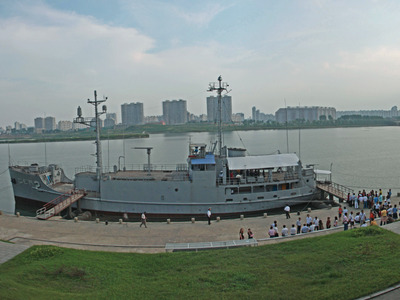 Tourists can still visit it today in Pyongyang, since they never gave it back. 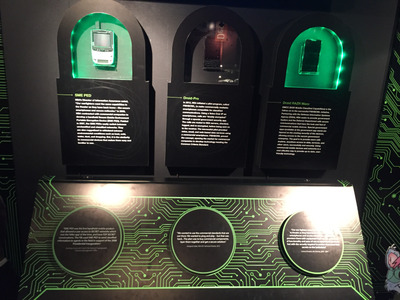 On display are lots of old cipher devices -- typewriter-like machines that produced codes long before supercomputers and secure telephones. Although if you're looking for secure telephones, they have those too. Including mobile. 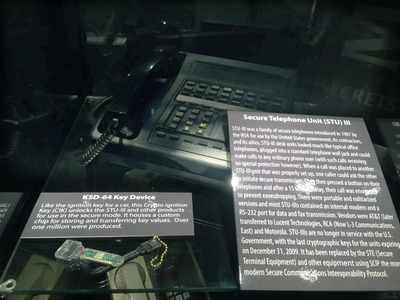 The museum highlights commercial phones converted to make encrypted calls, but even the average Joe can have secure calls these days, with apps like Signal or the so-called 'Blackphone' built by civilian cryptography experts. 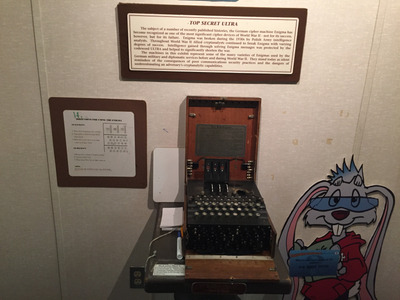 One of the coolest things to see is a working Enigma machine, the device that allowed Germany to send coded messages that proved very hard to crack. 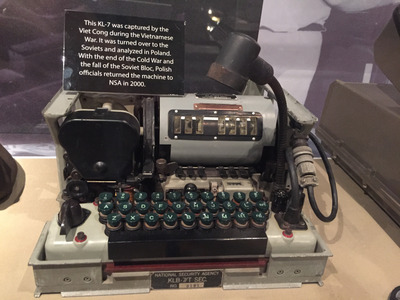 Operators pressed one key and it would output a different letter, giving them a bunch of gibberish code to send out. And since it's the NSA, you would be quite right in assuming you are being watched while you play with it. 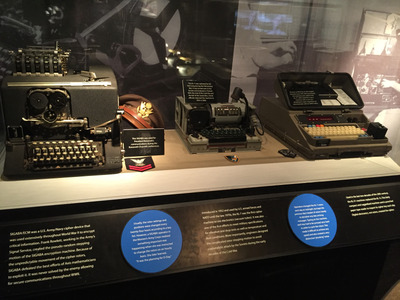 Contrary to what you may have seen in the film 'The Imitation Game,' it was first broken by the Polish Cipher Bureau in the 1930s, not Alan Turing. 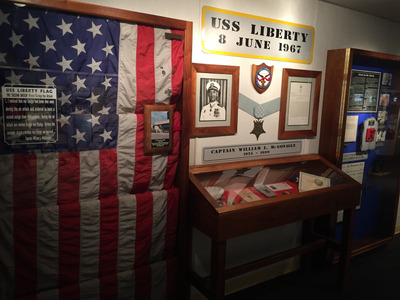 There's also a large wall dedicated to an incident few Americans remember -- when the USS Liberty was attacked in international waters by Israel during the 1967 Six-Day War. 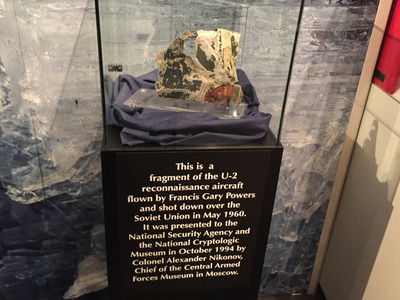 Thirty-four Americans were killed, including one NSA civilian. 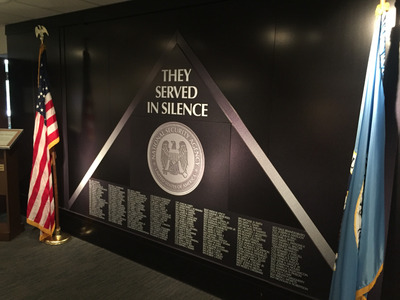 The NSA honours its fallen employees on this memorial wall. 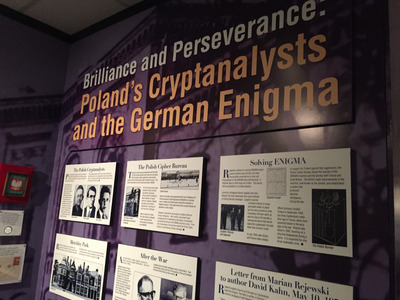 More than 150 military and civilian cryptologists are remembered here. 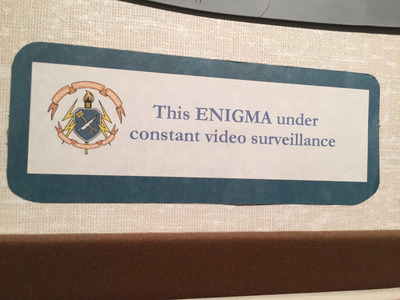 Besides Enigma, the other must-see is the small library with all kinds of gems on intelligence, cryptography, and NSA history. 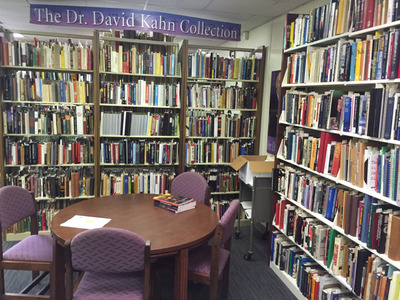 Historian Dr. David Kahn donated a huge collection of rare books to this collection. 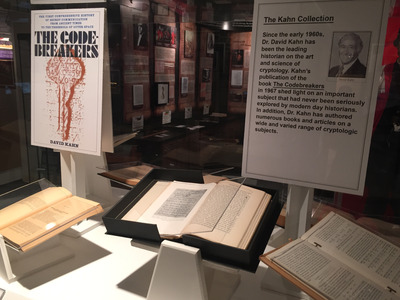 While the museum offers praise for Kahn's book, 'The Codebreakers,' it should be noted that NSA considered purchasing the copyright, breaking into Kahn's home, and/or planting damaging reviews of the work in the press before it was ultimately published. Or read through the binders filled with previously classified messages like this. ... 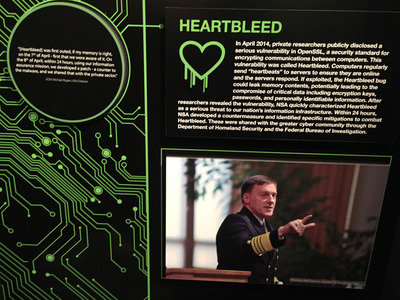 Considering this exhibit mentioning Heartbleed, a security bug discovered in 2014 that was found to affect a large portion of the internet. 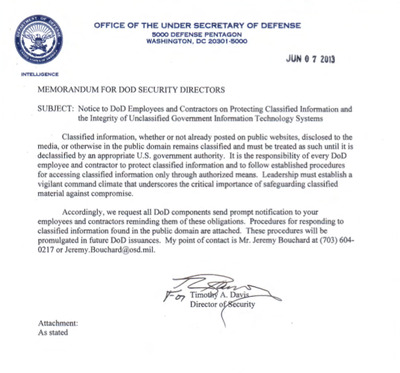 That's doubtful, especially when the Pentagon literally told its employees it could not look at the Snowden documents or even acknowledge their existence. 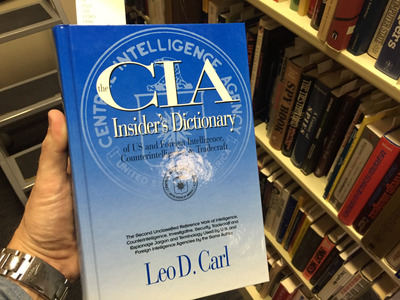 Also noticeably absent is any mention of The Church Committee and the illegal operations it revealed the NSA, among others in the intelligence community, were carrying out within the United States in the 1960s and 70s. 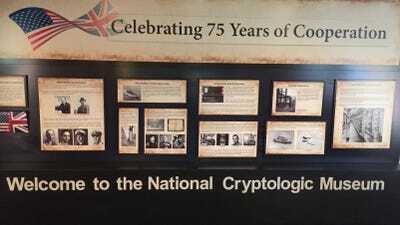 ... Offering a public a window into the world of high-tech code-breaking or the aeroplanes designed to capture radio signals right out of the air. 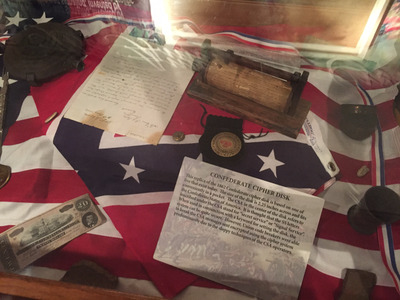 But some exhibits certainly shouldn't be taken at face value. And whatever you do, don't take a picture of the building across the street.